Previous post from: Girl Spirit Magic. Newer posts in this category will debut soon! Today, I wanted to talk about just how I discovered tarot and the right card deck for me. As a beginner, wanting to learn tarot is only the tip of the iceberg. I feel the real daunting task is to find a tarot deck that you connect to. How do you find this connection when you barely (if at all) know what the card’s meanings are? 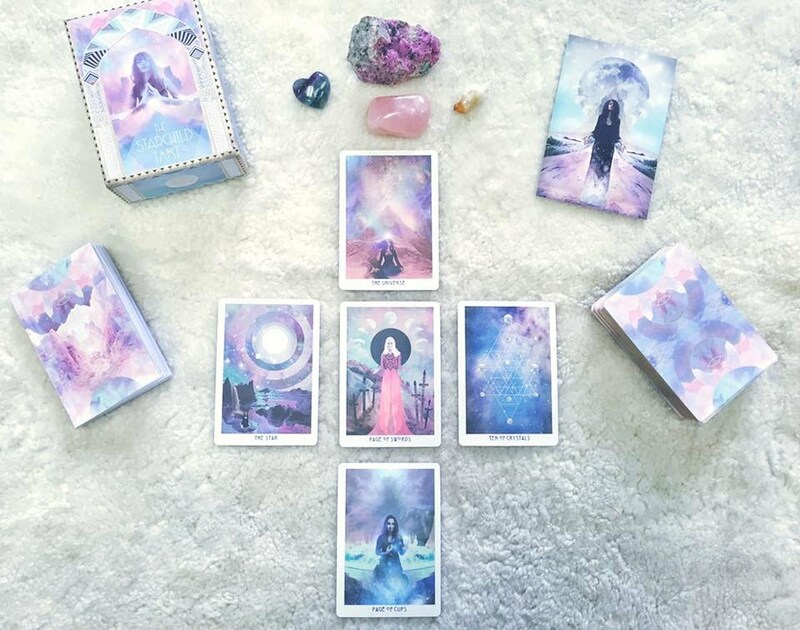 In this post, I’ll share my own tarot deck story. I knew right away that The Starchild Tarot by Danielle Noel was the tarot for me. I am artist by trade, and all artists admire other artists work (especially if it is a different type than your own, or a type of art style you have not done/tried before). I was immediately drawn to the collage layering of imagery in Noel’s artwork; paired with the beautiful color schemes..color schemes in soft pinks, purples and blues which are my absolute favorites to use in my own painted artworks. There was something so magical, mystic, and inviting about these cards and I knew I had to have them. The first time I found these cards online, the 1st Edition of this deck was being sold. I saw it in passing and it slipped my mind to purchase it. Over a year later, I gained interest in it but I had forgotten the name of the tarot deck! I knew nothing about it, other than how it made me feel, the artworks style, and that it was a deck produced outside the USA. I spent an entire afternoon searching online for this tarot deck. 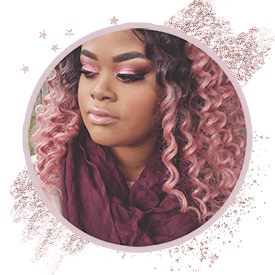 I came across a random photograph on Pinterest that directed me to Danielle Noel’s website/portfolio and from there, an online store to purchase it. By then, the deck was on it’s 2nd Edition of print. I had not recognized it right away due to some subtle changes, but my heart still leaped with joy at finding it. In a way, the deck found and chose me. After all that time, the image of it did not leave my mind and still today the beautiful artwork resonates with my spirit. I am very fond of it’s art and meanings. 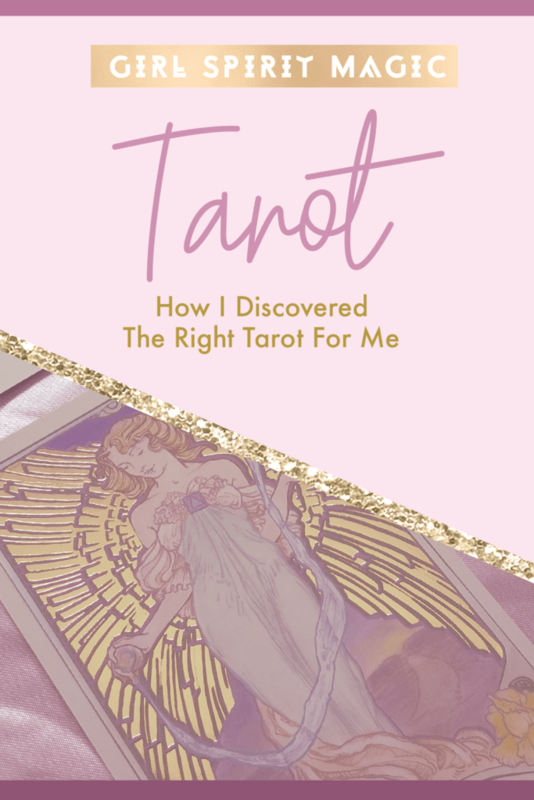 Even though I am still learning and finding my way with intuition, having a tarot that you enjoy looking at and feel good about, makes the learning process more enjoyable and even… fun! There are so many gorgeously designed tarot (and oracle) cards out there; I am sure The Starchild will not be the only one I collect or work with..but it will always have a special place in my heart and dedicated feelings towards it. Overtime, I will post my official review of this tarot deck as well as other oracle and affirmation cards that I work with. In the meantime, you can check out my Tarot + Oracle Collection here.